Do multivitamins make you healthier? Some experts say it's time to give up on daily multivitamins to preserve health, but others disagree. What should you do? If you take a multivitamin, it's probably because you want to do everything you can to protect your health. But there is still limited evidence that a daily cocktail of essential vitamins and minerals actually delivers what you expect. The latest round of studies, published in December in Annals of Internal Medicine, found no benefit from multivitamins in protecting the brain or heart. But some Harvard experts think there is still hope. "There are potential benefits and there are no known risks at this time," says Dr. Howard Sesso, an associate professor of epidemiology at the Harvard School of Public Health. "It is worth considering a multivitamin as part of a healthy lifestyle." In contrast, an editorial published alongside the multivitamin studies urged consumers to "stop wasting money on vitamin and mineral supplements." Caught between expert opinions, what do you do? Start with asking yourself why you would consider taking a multivitamin. If you suspect your diet is nutritionally lax, focus your efforts there. Despite all the research on vitamins and health, we have only a handful of rigorous scientific studies on the benefits of what Dr. Sesso calls a "true" multivitamin: a pill that provides essential vitamins and minerals at the relatively low levels that the body normally requires. The Physicians' Health Study II is the best study completed so far. It was the first and only large-scale randomized clinical trial to test a commonly taken multivitamin like the ones most people take, containing the daily requirements of 31 vitamins and minerals essential for good health. A large group of male physicians took either a multivitamin or a placebo pill for more than a decade. The results have been mixed, with modest reductions in cancer and cataracts, but no protective effect against cardiovascular disease or declining mental function. Is it safe? Multivitamin advocates point to the lack of any strong proof that taking a multivitamin for many years is dangerous. But Dr. Eliseo Guallar, one of those who panned multivitamins in the Annals editorial, emphasizes that lack of evidence that multivitamins are harmful doesn't mean they're safe. We simply don't know. "While I agree that the likelihood of harm is small, the likelihood of a clear health benefit is also very small—and also we have no clear proof yet of such benefit," says Dr. Guallar, a scientist at the Johns Hopkins Bloomberg School of Public Health. Dr. Sesso speaks for the optimists, who urge a wait-and-see approach. "Multivitamin supplementation is low risk and low cost, and it helps to fill potential gaps in the diet that people might have," Dr. Sesso says. "These are compelling reasons to consider taking a multivitamin for cancer and eye disease that should be discussed with your physician." Ask your doctor if you really need to take a multivitamin. Could you have a vitamin deficiency? Assess your diet. Do you eat as healthy as you could? Is anything lacking? Do you want expert nutritional advice? See a dietician. Also, Medicare beneficiaries get an annual "wellness" visit with their primary care providers. 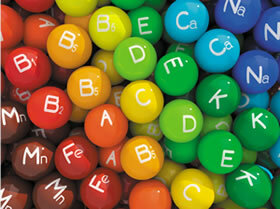 Do not take high doses of specific vitamins, especially A and E. These may actually be harmful. Some research suggests that generous daily doses of vitamin D could be helpful. Cancer: Men were 8% less likely to be diagnosed with cancer. The protective effect was greatest in men with a history of cancer. Vision: Lower risk of developing cataracts. Cardiovascular disease: No protection against heart attacks, strokes, or death from cardiovascular disease. Brain: No protection against declining memory or mental skills. Caveat: Because of PHSII's design, the findings on memory loss and vision are somewhat more likely to be chance findings than the cancer and cardiovascular disease results. The study tested a therapy for artery blockages (chelation) in people with a previous heart attack; it also included a vitamin supplement. The trial found no evidence of benefit from taking the supplement. Caveat: Participants did not take a typical multivitamin, with a variety of essential nutrients in varying doses. It's possible that taking a standard multivitamin might have worked better, but there is no evidence to suggest that might be the case.